Fizz or no fizz... that is the very important question? 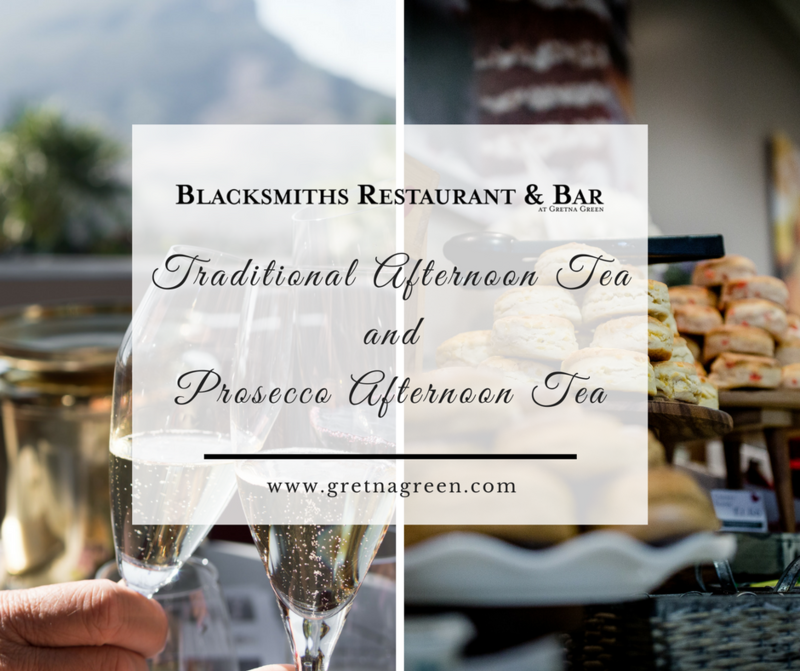 Introducing our new Traditional Afternoon Tea or Prosecco Afternoon Tea at the Blacksmiths Restaurant, here at the Famous Blacksmiths Shop, Gretna Green. You spoke and we listened, so here it is... afternoon tea is back at the Blacksmiths Restaurant and so are our new Prosecco Afternoon Teas for those who like a little fizz with their cake! Available throughout January and February, enjoy a traditional afternoon tea, of cakes and sandwiches with tea and coffee for just $20.80 for 2 people. OR, for something a little extra special, upgrade to include a small bottle of prosecco, for just $7.70 more! Fancy one of our afternoon teas for a special occasion? Birthday, Baby Shower or other celebration? Then let us know! We hope to see you soon and don't forget to share your pictures with us, from your afternoon tea, on our Facebook page!